As the newest member of the SWV team, Donna recently moved to the Wenatchee Valley with her husband and two sons. Donna comes to us from St. Louis where she served God in several different capacities, the most recent being with a homeless ministry in downtown St. Louis where she and her husband started a children's ministry to work with at-risk youth from the surrounding housing project. She also served as a licensed lay minister in her local church. In addition to her ministry work, Donna brings 15 years of human resources experience and an MBA from Missouri Baptist University in St. Louis. Her heart is to serve God in any way that He directs and she is very excited and counts it as a privilege to be a part of the SWV team. Pastor Thom Nees has been an ordained minister in the Church of God, Anderson and the Church of the Nazarene traditions since 2005. He returned to the Wenatchee Valley in 2003 with his wife Melanie and their five children, Joshua, Samuel, Benjamin, Caleb, and Hannah, serving as the pastor of Wenatchee First Church of the Nazarene (2003-2009) and the founding pastor of Missio Dei Church of the Nazarene (2009-2017). He was also the founding director of Hand in Hand Immigration Services. Thom has been a long-time partner and former board member of Serve Wenatchee Valley, and has served the community by bringing a bridge building, collaborative perspective to many creative problem-solving efforts. 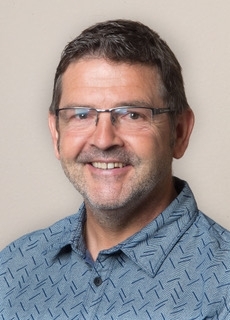 Thom humbly and enthusiastically joined the staff team at Serve Wenatchee Valley by accepting the responsibility of serving as the Executive Director in August of 2017.